A WOMAN WHO stole the proceeds of the sale of a retired GP’s surgery when she was working as the victim’s carer has been jailed for two years. Nermana Gojak (44) worked as both a carer and a housekeeper for a couple of days a week for the 90-year-old woman for 10 years. Both the woman and her late husband had worked as GPs in Dublin and the victim had opened up a deposit account with the funds from the sale of her husband’s GP surgery when he passed away. 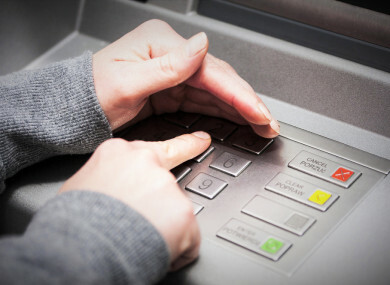 Gojak stole €41,380 over five years by making ATM withdrawals, using the woman’s laser card to purchase items and getting cash back at points of sale. She regularly transferred funds from this deposit account to the woman’s current account to allow her easy access to the money. Gojak, of Pineview Avenue, Aylesbury, Tallaght, pleaded guilty at Dublin Circuit Criminal Court to the theft from Ulster Bank in Dundrum on dates between 8 September 2012 and 8 August 2017. Gojak has no previous convictions and is unemployed. She said the crime was deceitful, cruel and callous. She said she has not been able to secure a new carer since Gojak’s theft came to light and she has had to move into a nursing home. “I embraced her like a daughter,” she said while outlining that she went to Gojak’s children’s plays, dancing competitions and “celebrated all their achievements”. She said she didn’t forget the children’s birthdays. She said the victim had raised those funds from “a lifetime of hard work” and the sale of a GP practice and noted that “she was left in financial insecurity as a result of what was taken from her”. Greally said the case “necessitated a custodial sentence” before she sentenced Gojak to three years in prison but suspended the final 12 months on strict conditions including that she engages with the Probation Service for 12 months. She said she had taken into account Gojak’s lack of previous convictions, her guilty plea, cooperation, remorse, and the fact that she had €2,000 in court to offer as a token of that remorse. Greally also acknowledged that Gojak had experienced difficulties in her past, noting that she had come to Ireland from war-torn Bosnia and accepted that some mental health issues were identified in a probation report before the court. Gojak’s defence counsel, Marc Murphy BL, accepted it was an extremely serious offence that had a serious impact on the victim. He acknowledged that the money has not been repaid and said there was no reality to her ever paying it back in full. Murphy said Gojak played “a central role in her family life” and is a devoted mother to her three children aged between 12 and 17 years old. “She has an expectation of a custodial sentence”, counsel said. Email “Woman who stole over €40,000 from former GP she was caring for jailed for two years”. Feedback on “Woman who stole over €40,000 from former GP she was caring for jailed for two years”.